This cheesecake is light, creamy and absolutely delicious with the addition of the eggnog and nutmeg. You can even add rum favoring in place of the vanilla if you are feeling really adventurous! 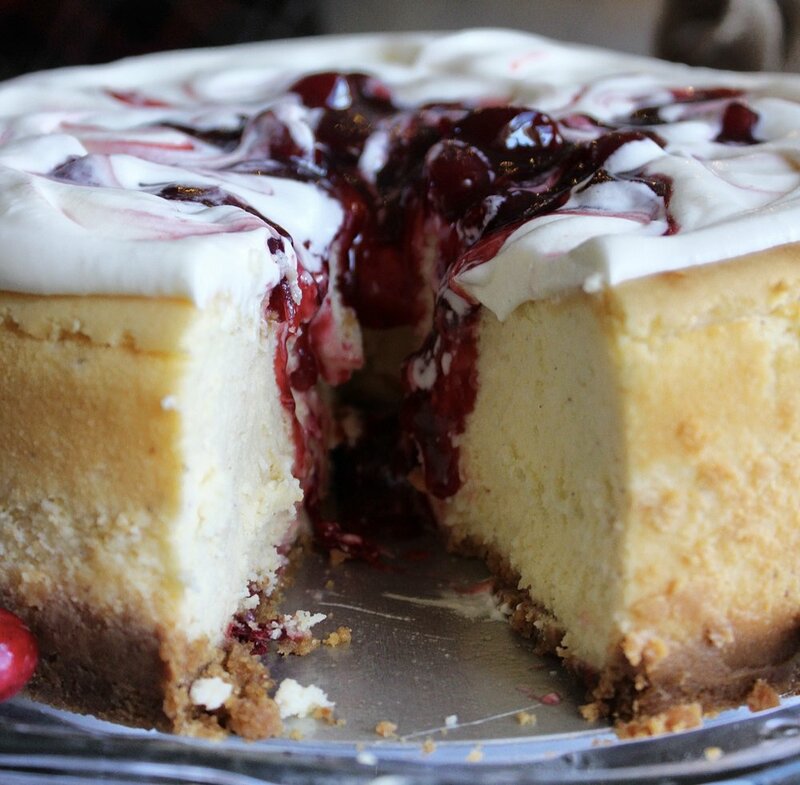 Although the cheesecake is GREAT by itself, the cranberry sauce and eggnog whip really take it up 10 million notches. I would 10/10 recommend! Just look at it! A perfect holiday dessert, your whole family is sure to love!